While shot size and type for geese isn’t as complicated as it is for ducks, it’s crucial you’re loaded up with the correct shells. There are some phases of the season that will see you switching your loads around. 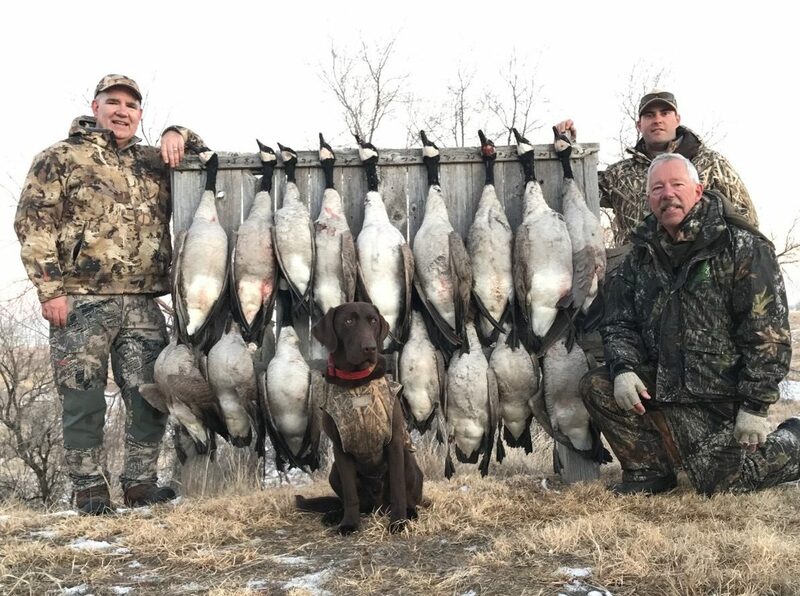 If you hunt the early goose season on the Northern Front Range, you’ll see birds as small as cacklers and aleutians to greater birds as large as duskies. 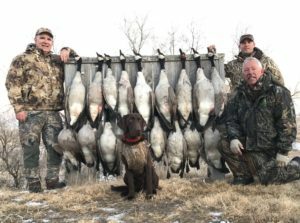 As you’ll most likely encounter geese while shooting ducks during this time frame, a 3″ shell with #2 or #4 shot will do the trick. If you’re set up in a field for geese only go ahead and load up with a 3.5″-3″ shell with BB-#2 shot. My preference would be Blind Side 3″ shell with #2 shot. When the regular season hits, I still lean towards a 3″ shell with #2 shot, however, will change things around if geese are the larger models. A 3″ BB is fine for this time frame and will also knock down any ducks that happen into the spread. We’ll get into various manufacturers and 3.5″ vs 3″ shells in a later article.